Thousands of people gathered Saturday in Chicago's Little Village neighborhood for "Festival de la Villita" to celebrate Mexico's Independence Day. 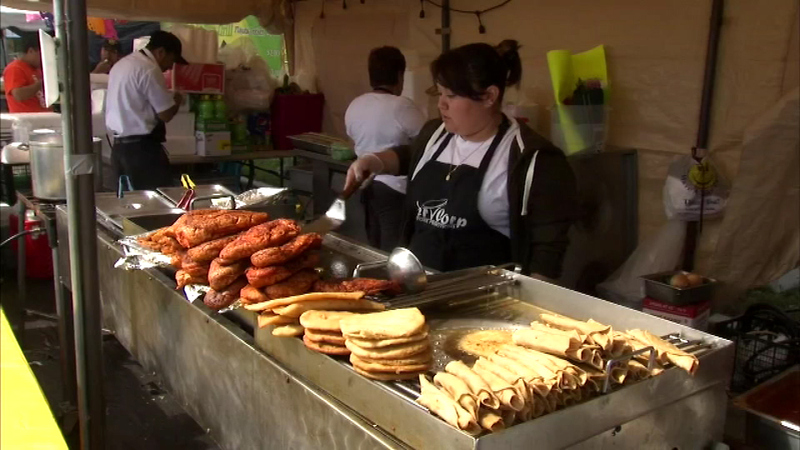 CHICAGO (WLS) -- Thousands of people gathered Saturday in Chicago's Little Village neighborhood for "Festival de la Villita" to celebrate Mexico's Independence Day. Families enjoy live music, dancing, arts and crafts, carnival rides and plenty of food. The annual festival is now in its 26th year and ends Sunday, concluding with one of the city's biggest parades, the Mexican Independence Day Parade. This year's Grand Marshall is former ABC7 reporter Theresa Gutierrez. ABC7 will broadcast the parade beginning at 2 p.m.